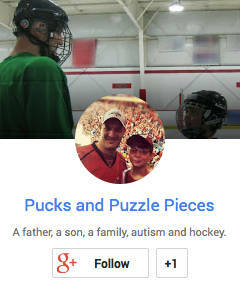 Like a lot of kids on the autism spectrum, creativity is not exactly Ryan’s strong suit. When he was a toddler we watched him like a hawk, hoping to see signs of imaginative play emerge. He liked to play with toy cars. All right, he liked to line up toy cars. We tried to expand on this in many ways, from cityscape play rugs to action figures, to toy garages — all in the hopes that he would begin to show age-appropriate imaginative play skills. Instead he would lie on the floor and stare at the wheels as he rolled the cars slowly back and forth. When he finished playing, he’d line them up — dozens of them — perfectly parallel to one another. I still cringe at the memory because these behaviors were powerful, visual confirmation of our fears. Ryan did not play like “typical” kids. We tried and tried to engage him on a more creative level, but nothing emerged for years. His imagination and creativity have grown immeasurably in the intervening years. Sure, they are mostly centered around his obsessive interest — hockey — but imagination is imagination and creativity is creativity. We have observed in wonder as he created an entire hockey league — the RHL — centered around real NHL teams but an imaginary schedule and standings that he created in his mind. He loves to play with his Hockey Guys for hours, acting out the RHL games with the figurine hockey players. But you need to observe closely to see his imagination at work. At most NHL games, when a player scores a goal, the arena spotlights immediately come on and highlight the goal-scorer. It took up us a minute to figure out what Ryan was doing with a flashlight when he played Hockey Guys, that is until a goal was scored. Sure enough, the flashlight came on to spotlight the goal-scorer. I have learned to stop worrying about his imagination, and to just appreciate what comes. Hockey is full of colorful nicknames and language. Among my favorites is “Sieve” — which is what you call a goalie after he has allowed a goal or two — a sieve being a strainer with lots of holes. Some college hockey crowds are even known to toss tiny sieves on the ice after a score. 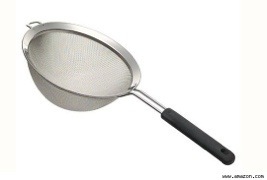 Ryan loves the term “sieve.” He finds it hilarious when I would use it to mock a goalie that isn’t playing well, such as Ilya Sieve-galov (instead of Bryzgalov). This became a topic of conversation during a recent game we were watching. But simply using “sieve” in a goalie’s name was not good enough for him. He was determined to come up with his own, well, creative names. This went on for perhaps an hour before we begged him to stop. It was like listening to knock-knock jokes for an hour. But Ryan would not let the topic rest. On our recent trip to Washington, he spent much of the trip down refining his list of nicknames. On the way back, I finally convinced him to type up the list. Hey, I didn’t say they were GOOD. But I think you’ll agree they are CREATIVE. Oh, we had one for Tim Thomas — The Free Sieve-izen.